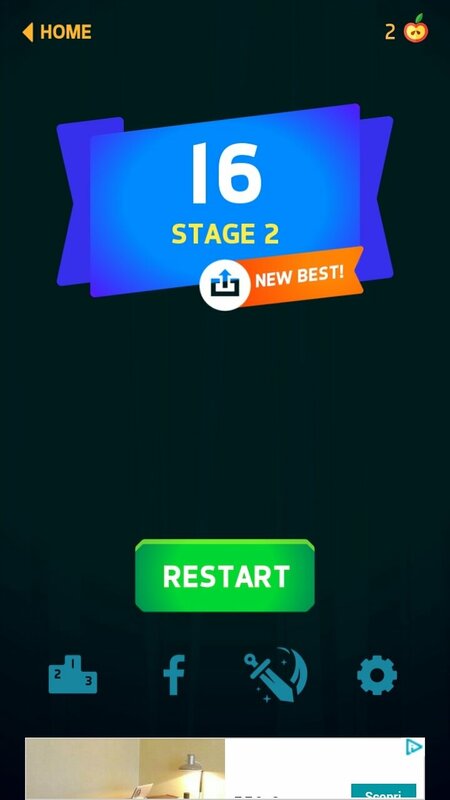 This time around, Ketchapp has gone even further. The French casual game studio owned by Ubisoft already has us used to its simple yet addictive games without a great plot. Every now and again they bring a new one out and sometimes they simply become great hits. Amongst some of their most popular games, we have to mention Stack, Pineapple Pen, 2048 or Jelly Jump, titles that any mobile gamer must know. And their latest development has just arrived to increase their list of hits. We're talking about Knife Hit, a game in which our only target is to throw knives at a tree trunk until we manage to break it apart. It sounds simple but it is incredibly entertaining. Furthermore, this straightforward goal is accompanied by some great graphics, even better than previous games, with plenty of colors and well-defined lines. 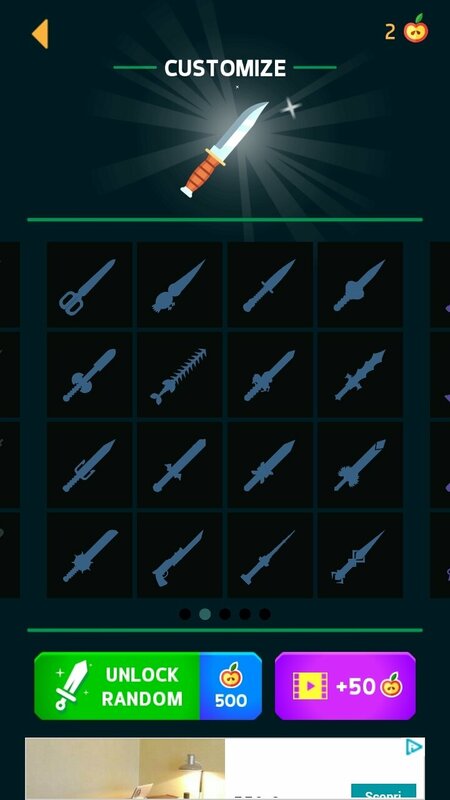 Become a knife-throwing expert and unlock all sorts of weapons. 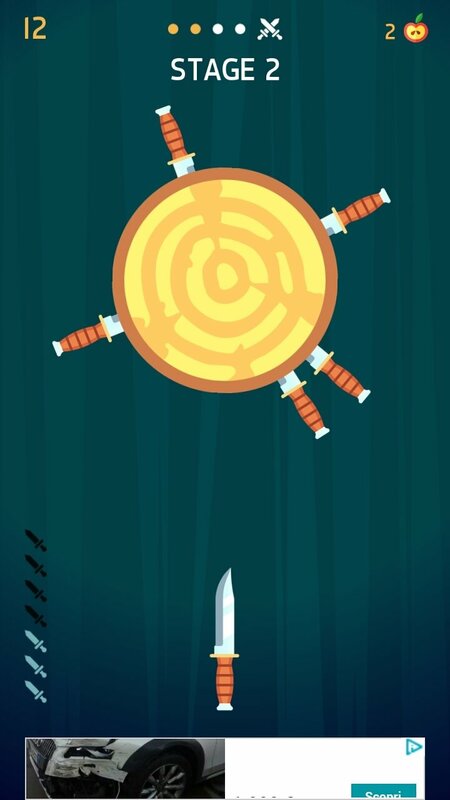 As we've mentioned, the player will have to manage to stick knives into tree trunks but it's not as easy as it seems. The trunk will rotate non-stop and the knives we throw can't touch each other, otherwise, it will be game over. 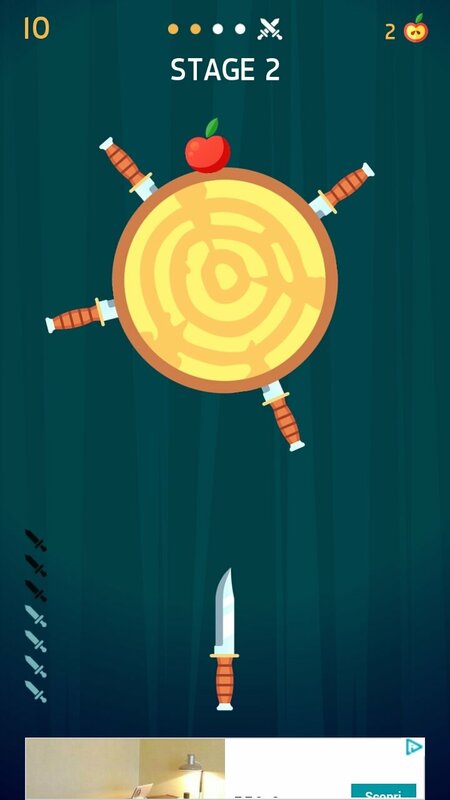 Furthermore, to keep the game as interesting as ever, the player can unlock new knives by slicing in half the apples that appear on the different levels. 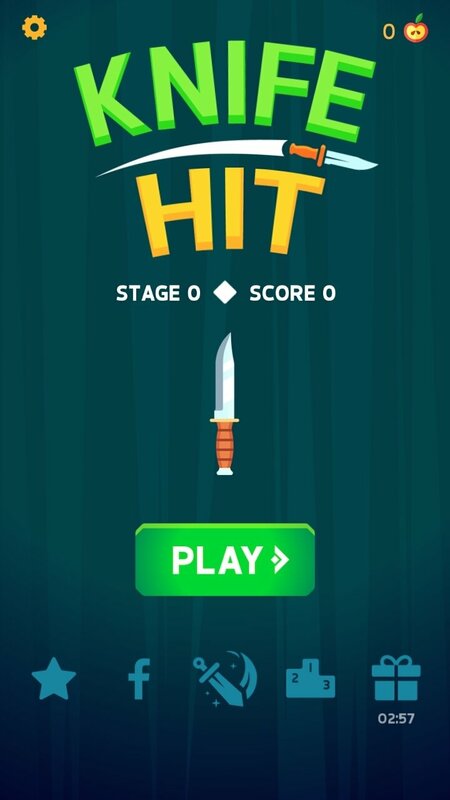 Just like in all Ketchapp games, this new knife-throwing title is free but includes adverts. 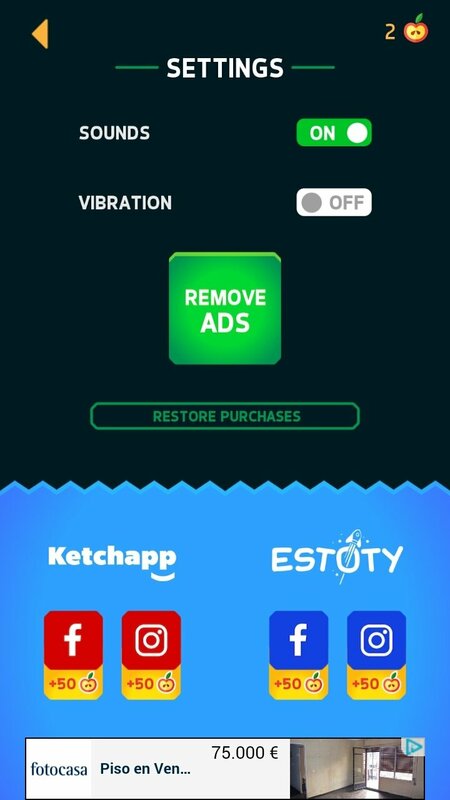 If you love the game so much that you're willing to pay to remove the ads and contribute towards the development of future hits, you can make an in-app purchase of €2.99. Just download this APK file for Android or its iOS version if you've got an iPhone and simply forget about everything else for a while.